Every mom (and baby!) 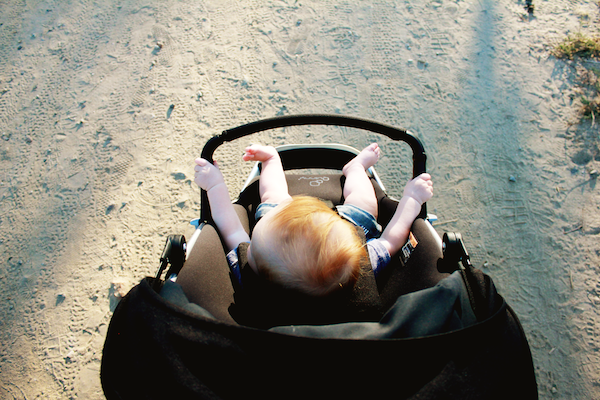 deserves a good stroller. 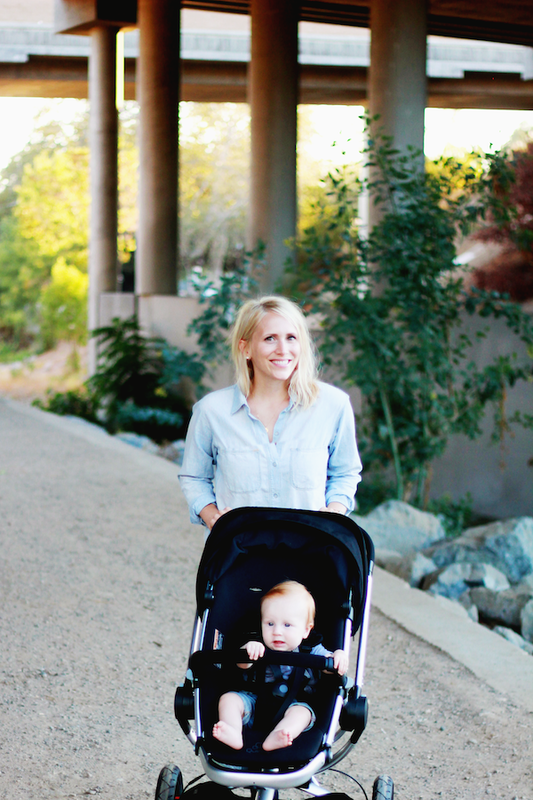 I have been really impressed with the Quinny Buzz Xtra stroller, and I couldn't wait to share my Quinnylove with you all. 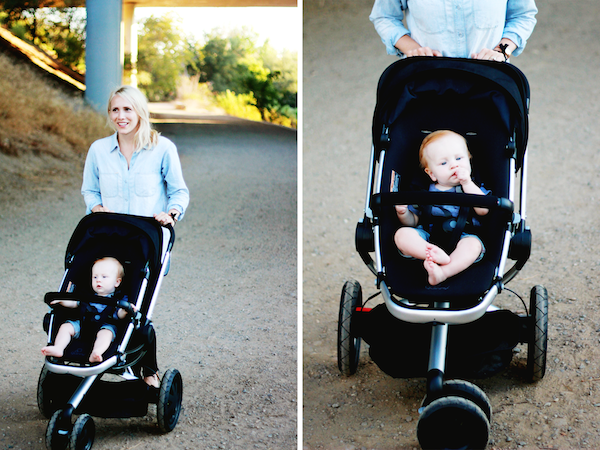 First and foremost, it has to be said that this is just a good looking stroller. 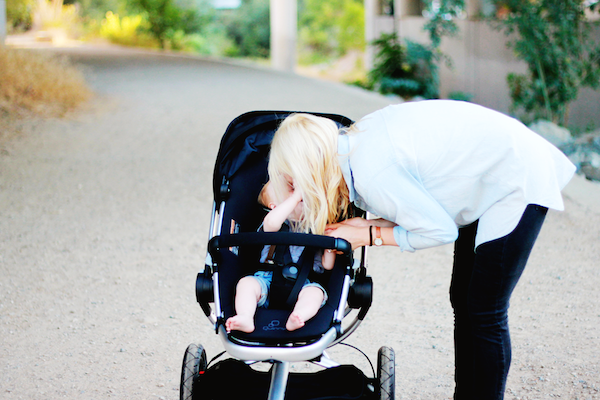 I'd be lying if I didn't say the "look" of the stroller wasn't important to me, because it totally is. Simplicity is very important to me, and the sleekness of the Buzz Xtra was one of the first things I noticed. 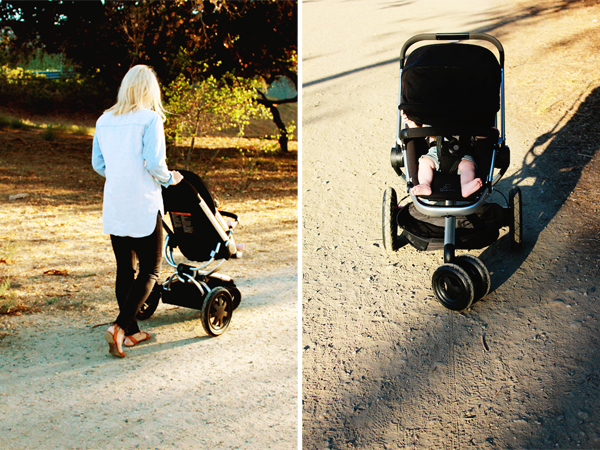 I love it in the black, and have been so pleased with how well-designed this stroller is. It is obvious that everything about it was designed intentionally, with the end user (moms!) in mind. My most favorite thing about this stroller is how craaaazy easy it is to pop it open, and how simple it is to collapse it. To open up the stroller you just pull back the latch and it pops up on it's own. (!!) To fold it down you use the two small levers on each side and it goes down so easily with minimal effort. 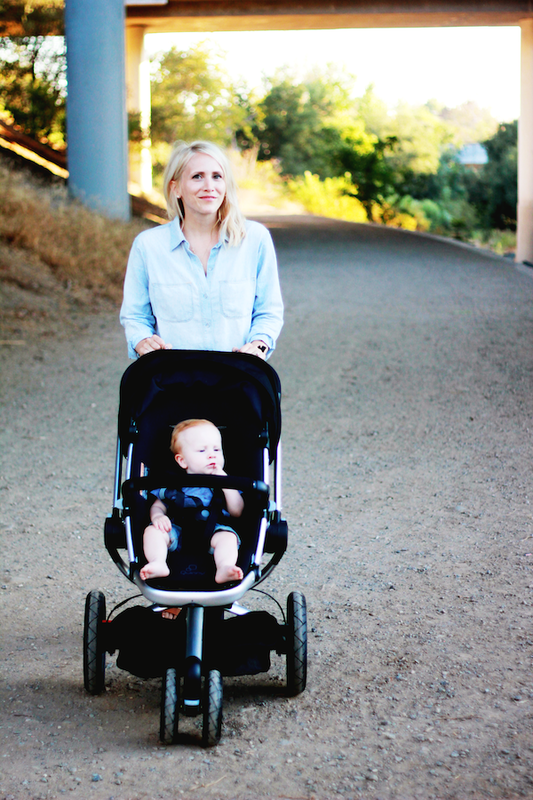 It's also incredibly lightweight for the type of stroller it is, so getting it in and out of our SUV is such a breeze. 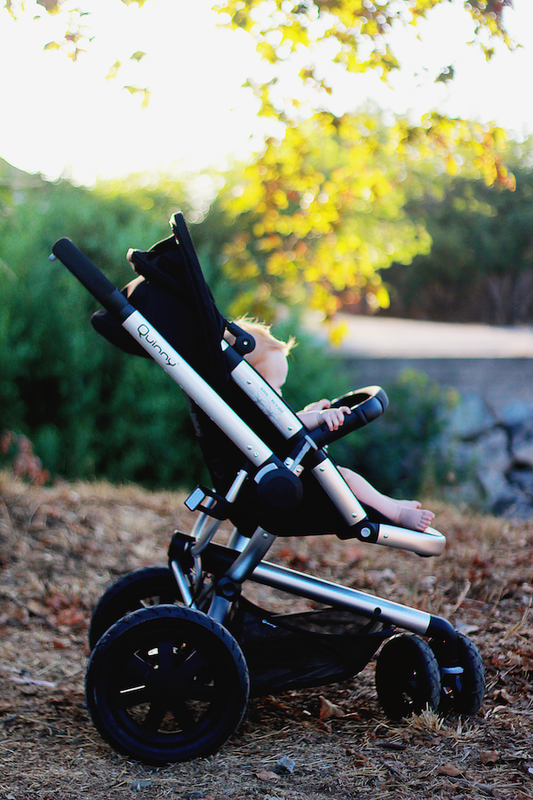 It's an all-terrain, full-size stroller that still somehow seems compact, is agile and easy to maneuver, while at the same time being sturdy, stable, safe and secure. The Buzz Xtra is a perfect example of how form and function intersect. I can't say enough good things about it. It has all the essentials, like an awesome over-sized canopy that really comes in handy when the sun gets low, big wheels for a smooth ride, adjustable seat so Wyatt can either be sitting up or more laid back, an adjustable handle to accommodate both my husband (6'3") and myself (5'4") easily, storage space underneath, and Wyatt wanted me to tell you how comfortable the seat is. 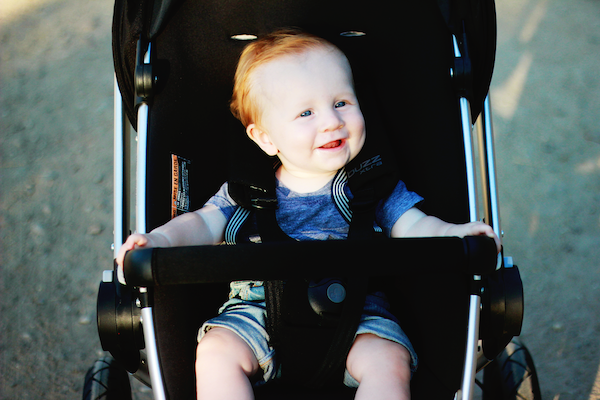 It's definitely the most comfortable-looking baby seat I've ever seen in a stroller, and I love that it isn't too sunk in, either, so that Wyatt can have an unobstructed view of his surroundings, which is always important to me. 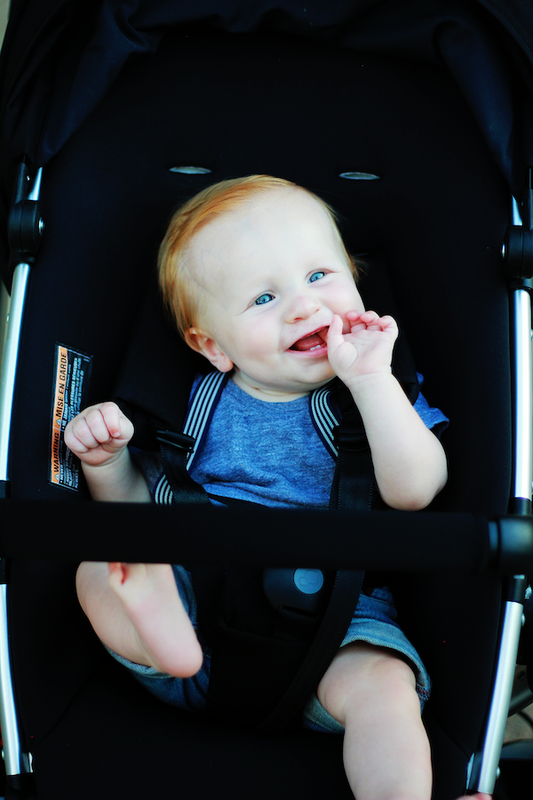 I would definitely recommend the Buzz Xtra, and am soo grateful Quinny gave me the opportunity to try out such an awesome, awesome stroller and share the Quinnylove! 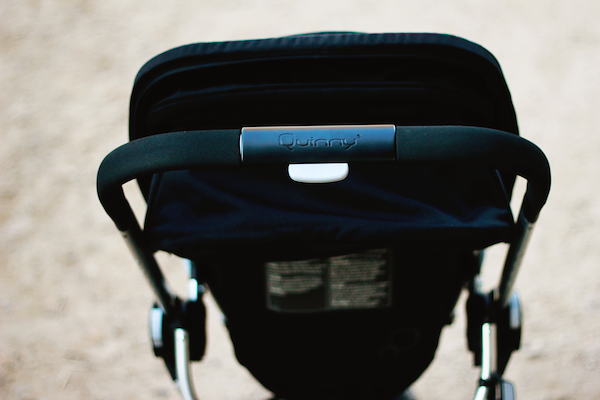 This stroller was courtesy of Quinny, and I was happy to share my own thoughts and opinions on this product.